Happy Independence Day... and welcome to this week's edition of Frugal Friday! 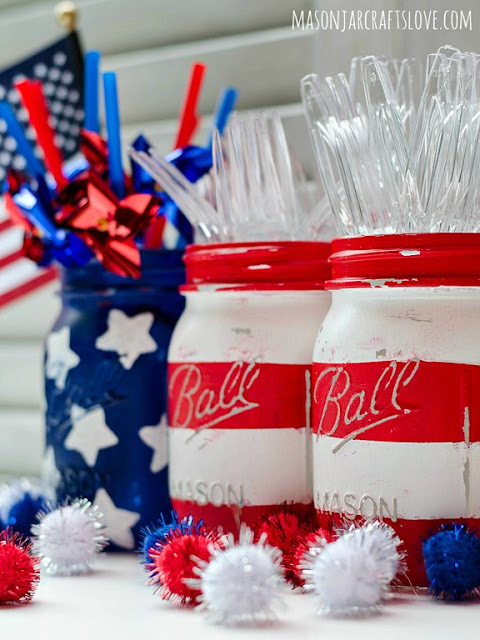 For my Frugal Round-up today I thought I'd share a few patriotic posts that were linked up to last week's party! First up, Mason Jar Crafts Love shared a tutorial on how to make these ADORABLE stars & stripes jars. I L.O.V.E these! Next, I Gotta Create! shared these fun paper stars and Pringles can rockets! How cute are these? 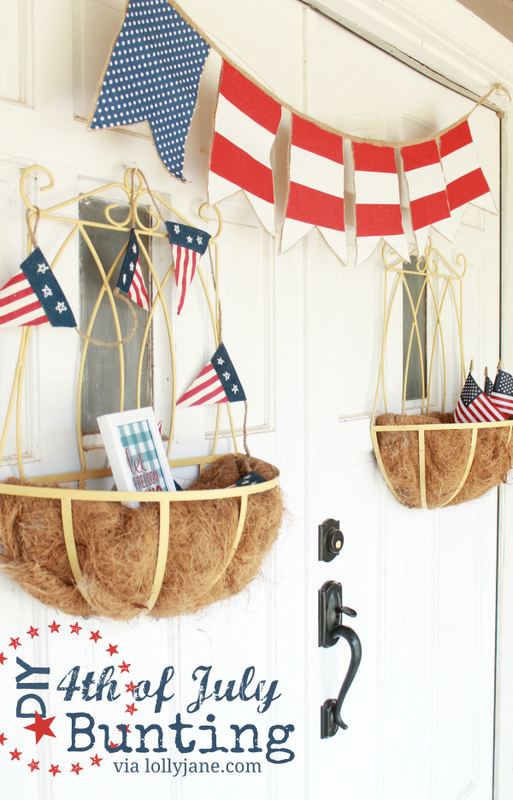 Lolly Jane shared this adorable DIY 4th of July bunting. I love bunting!! Thanks SO much for the party - hope you had a wonderful 4th of July!!! Thanks for the party! Happy 4th of July!! Hi Wendy, Thanks for hosting the party. Thank you so much for hosting! I hope you had a wonderful 4th!! 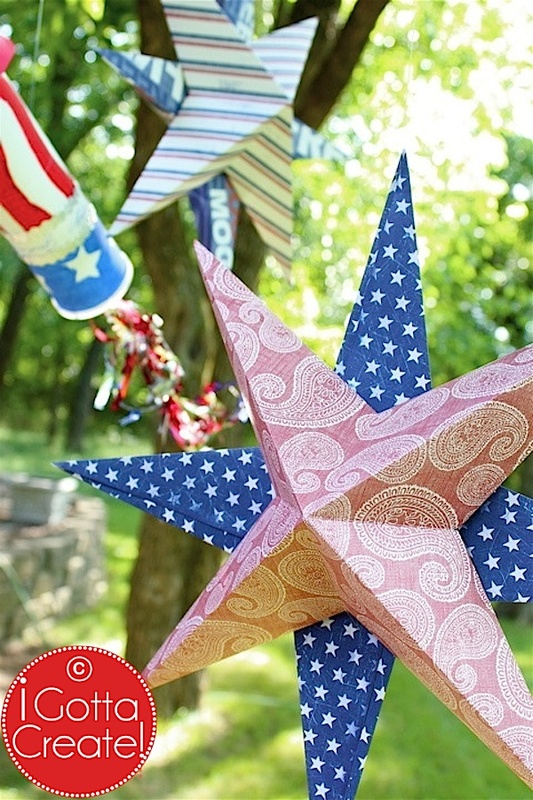 Thank you for featuring my DIY paper stars, Wendy! Hope your 4th was fantastic. Thanks so much for hosting this party. Lots of great features. Thanks so much for the party, Wendy! I hope you had a great 4th of July. Enjoy your weekend! Thanks for hosting this party. Hope you had a lovely 4th! Thanks so much for hosting! Hope you had a great 4th of July. Loved the party, thanks for hosting! Thanks for hosting. So many great features. Thanks for hosting this link up! This is one of my first times do this and I clicked the wrong image for my box. :( Not sure if it can be fixed. Thank you so much for hosting this fab party!